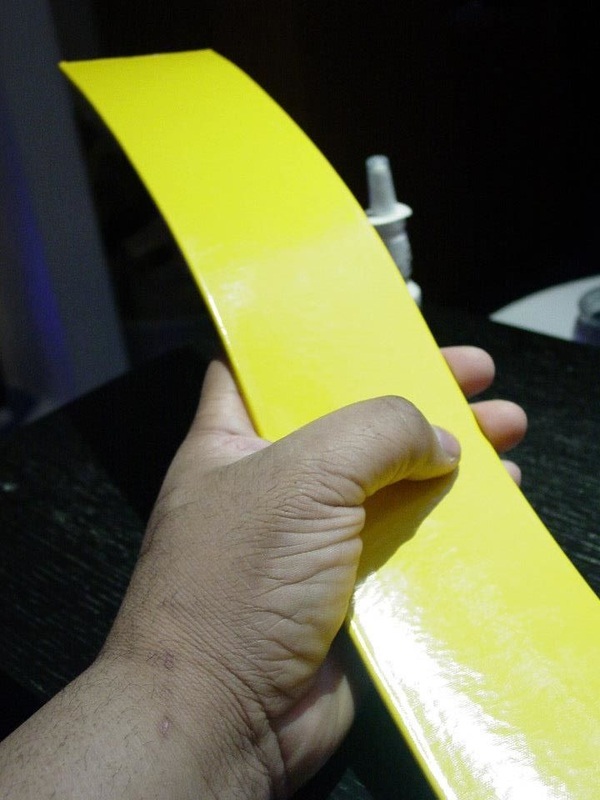 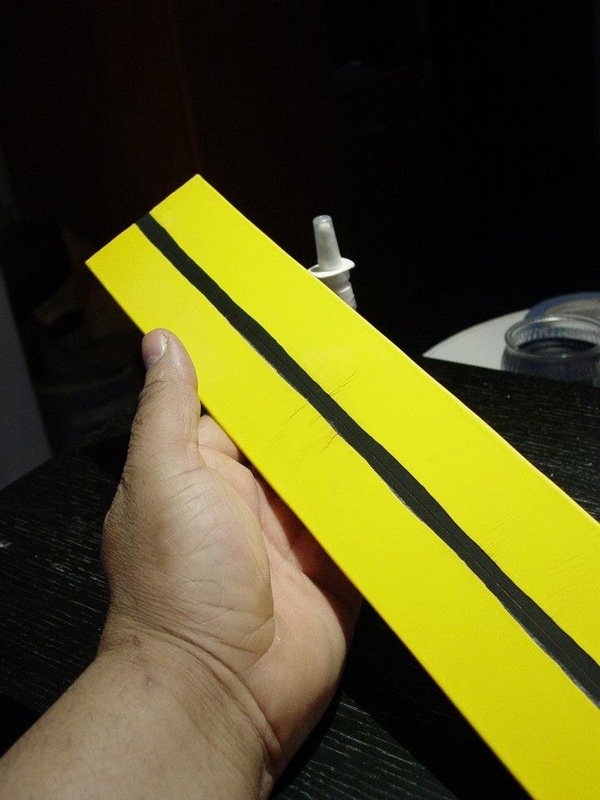 Costume Designer Roberto Williams permanently glues golden yellow stretch vinyl around a 3" wide leather belt blank. 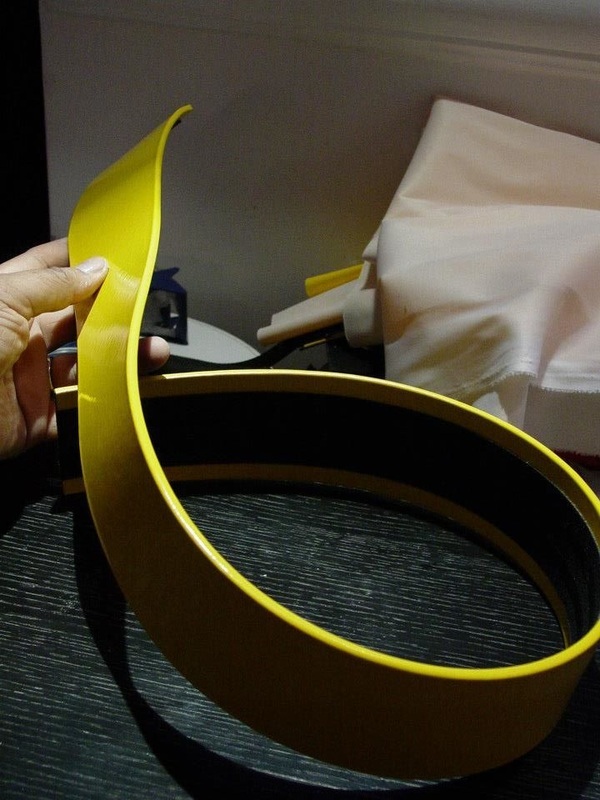 Unfinished inside portion of The Batman's Utility Belt Band. 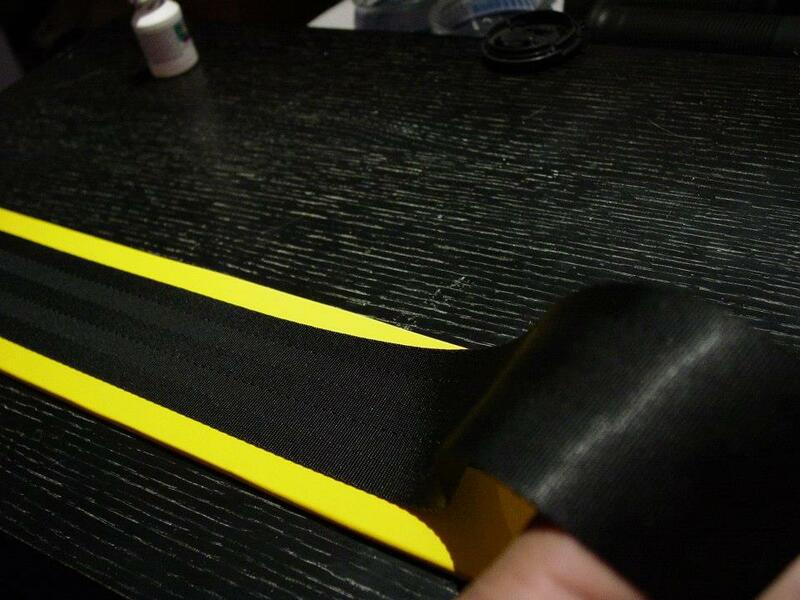 The Batman's belt band features a silk inner lining made from seat belt straps. 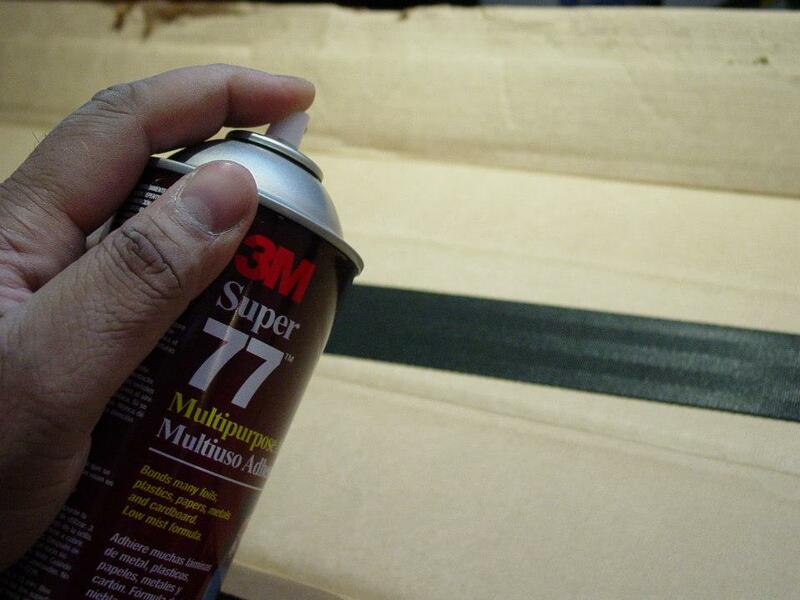 Once again, 3M Multi-purpose adhesive is sprayed onto silk inner lining strap. 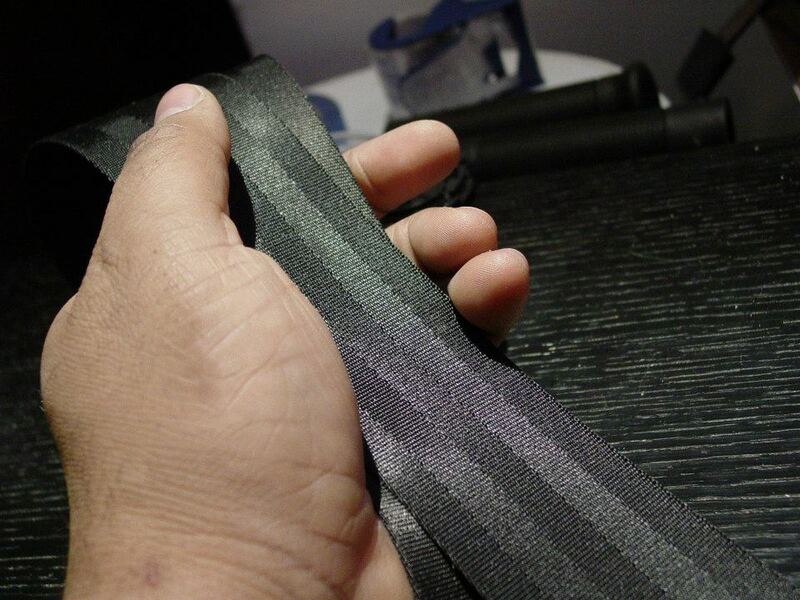 Silk inner lining strap permanently bonded to the inside of belt strap. 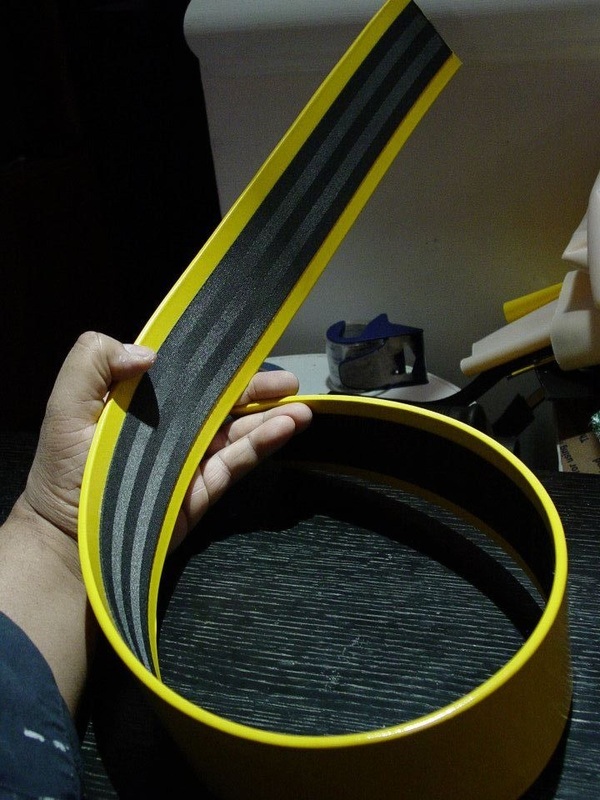 Finished belt band for The Batman's Utility Belt. 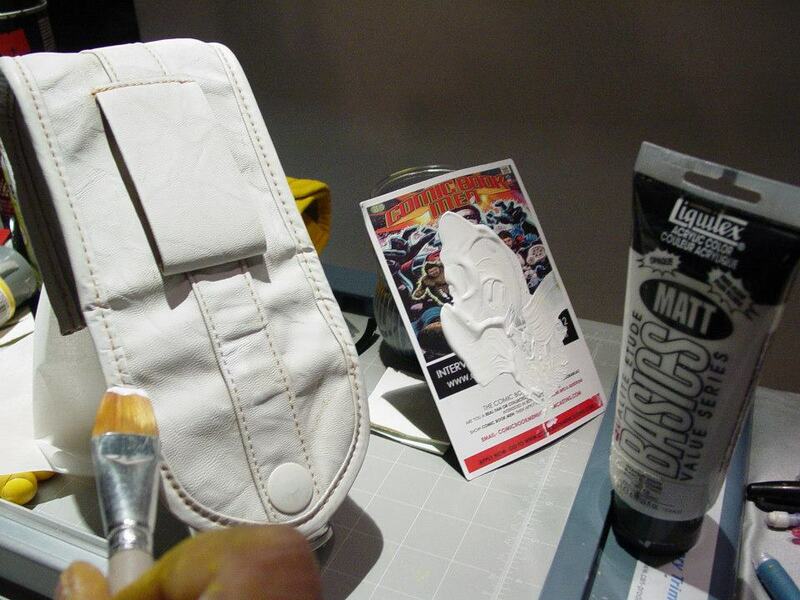 Finished vinyl ammo pouch coated in flexible white acrylic primer. 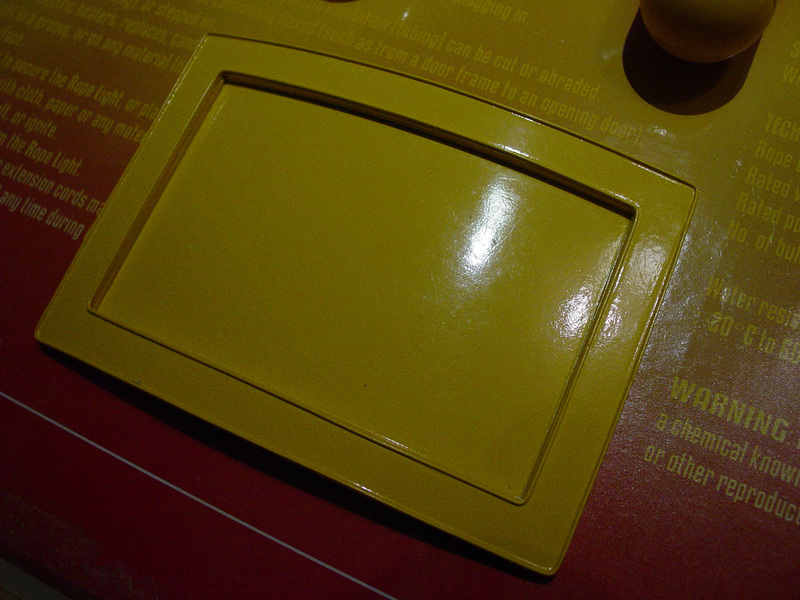 Vinyl ammo pouch coated in flexible deep cadmium yellow acrylic color. 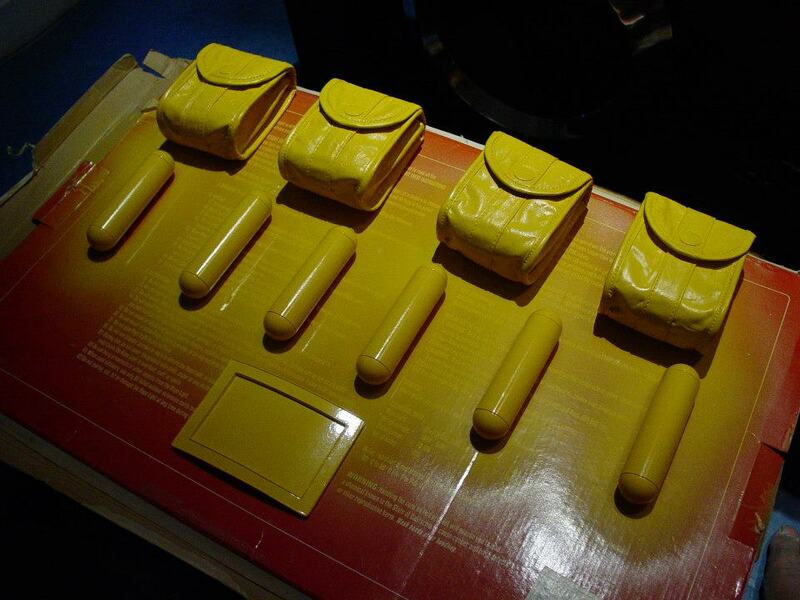 Costume Designer Roberto Williams hand fabricates The Batman's Utility Belt "hard items" (rectangular belt buckle and canister vials). 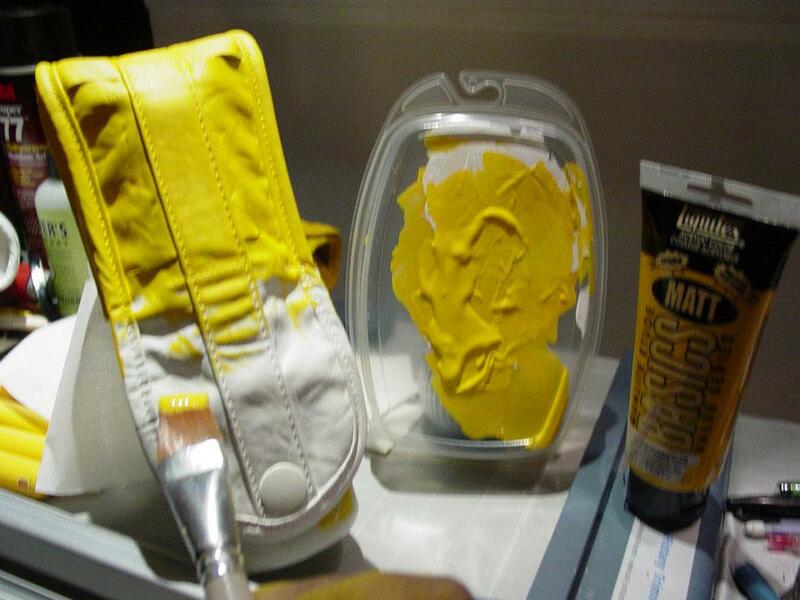 He then paints and clear coats all utility belt components together to assure color match. 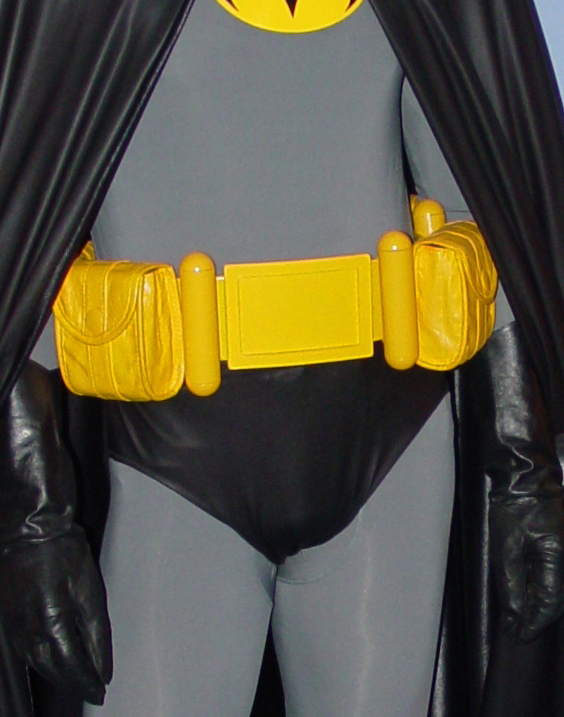 The Batman's Utility Belt. 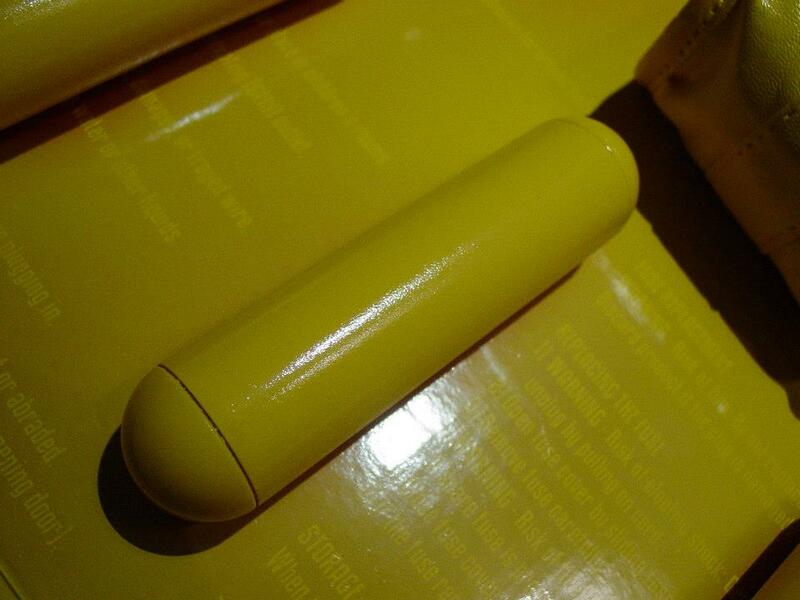 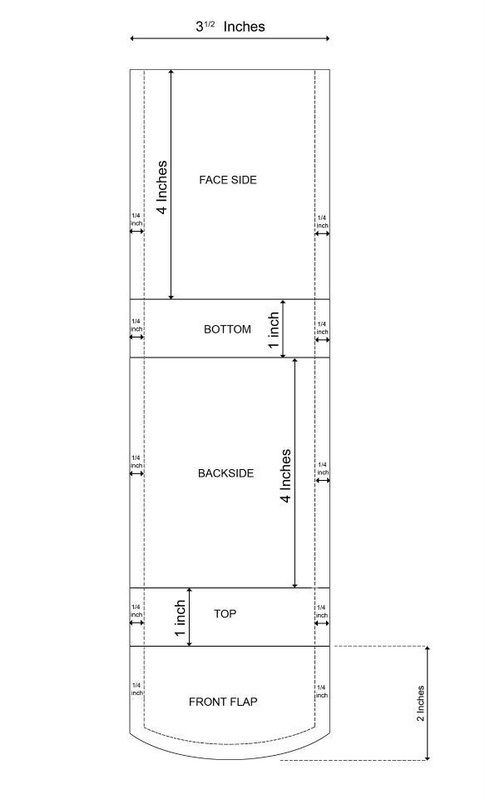 Designed and constructed by Costume Designer Roberto Williams.